Posted March 1, 2012 in Captain America, Ron Salas. 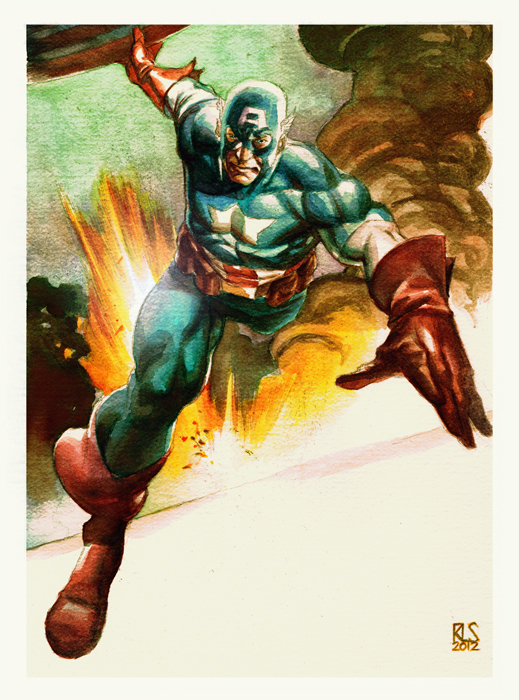 A glorious Captain America in watercolour courtesy of Ron Salas. Posted February 3, 2010 in OMAC, Ron Salas. 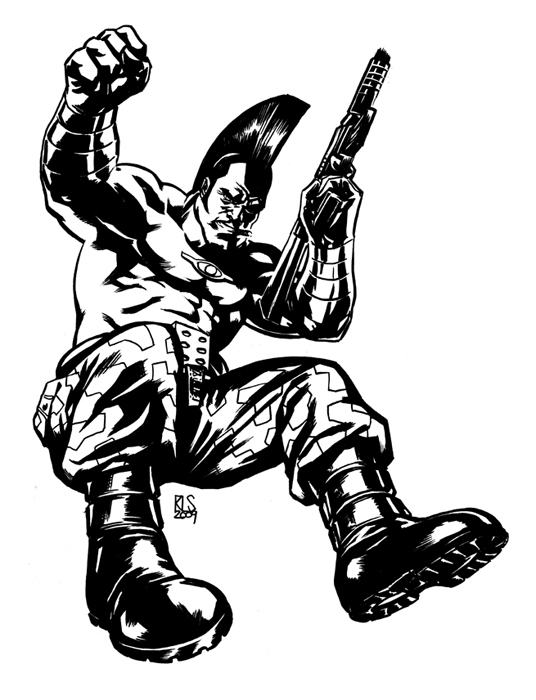 Dropping in from “…the World that’s Coming!”, it’s Buddy Blank aka OMAC courtesy of Florida based artist Ron Salas. Ron “designs shirts by day and draws comics by night”, the latest of which is Existence 3.0 for Image. You can see more of Ron’s work at his website & deviantArt page and also at the rather fabulous collaborative sketch blog, Comic Twart.